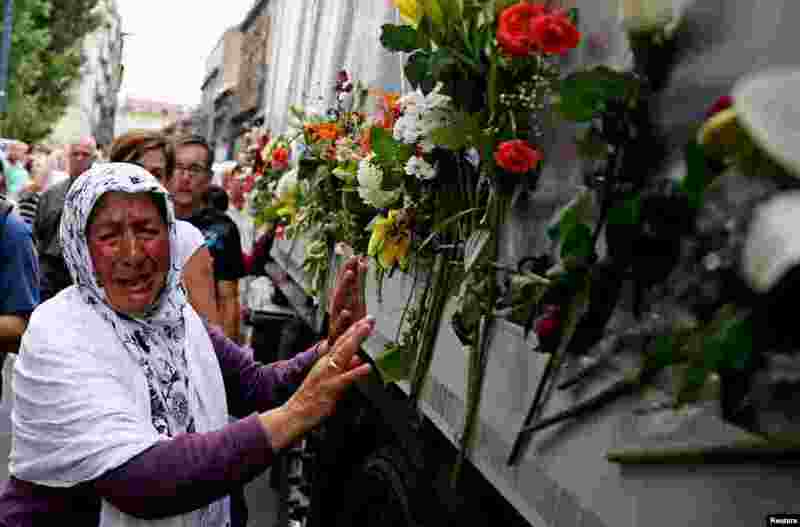 1 A woman cries beside a truck carrying 136 coffins of newly identified victims of the 1995 Srebrenica massacre, in front of the presidential building in Sarajevo. The recently identified victims will be transported to the memorial center in Potocari where they will be buried on July 11, the anniversary of the massacre when Bosnian Serb forces slaughtered 8,000 Muslim men and boys and buried them in mass graves in Europe's worst massacre since World War II. 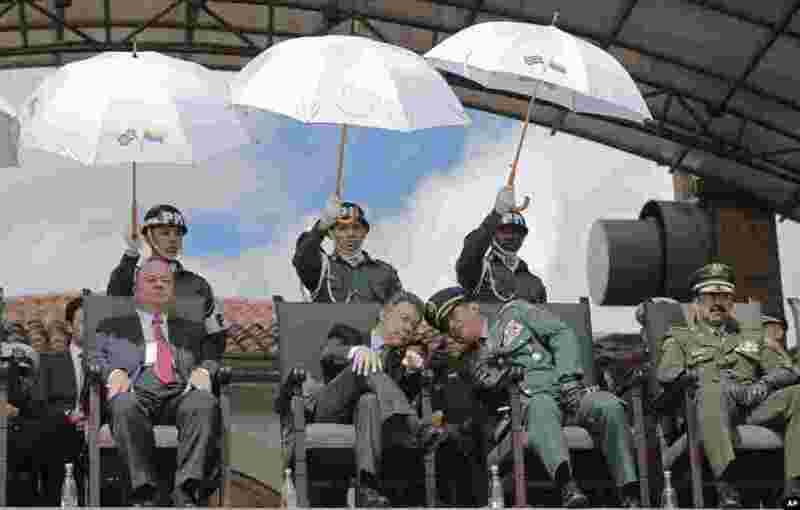 2 Colombia's President Juan Manuel Santos, center left, leans in to listen to Colombia's Armed Forces Commander Gen. Juan Pablo Rodriguez, during a military ceremony in Bogota, Colombia. 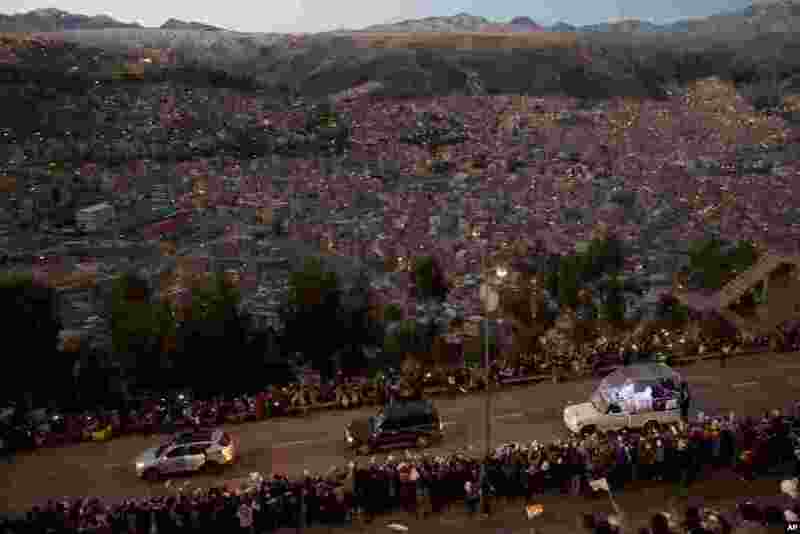 3 Pope Francis rides in his popemobile as he greets people lining the road from El Alto to La Paz, upon his arrival in Bolivia, July 8, 2015. 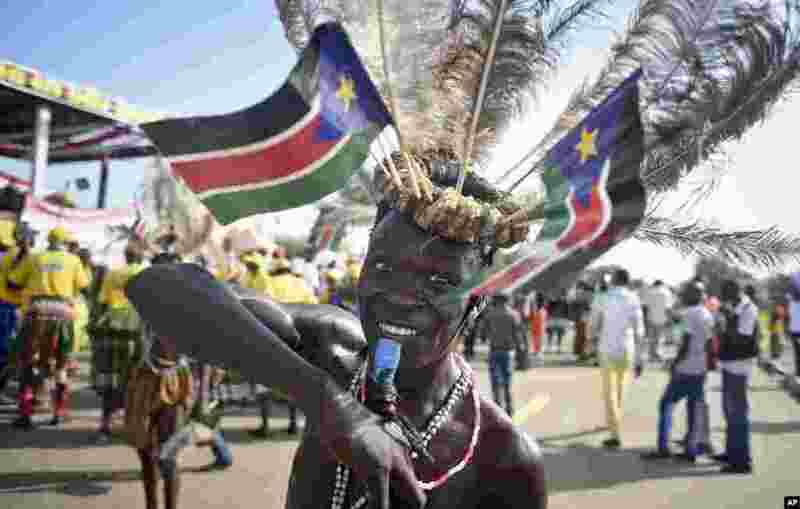 4 A South Sudanese man wears a headdress of feathers and the national flag, as he attends an independence day ceremony in the capital Juba, South Sudan. South Sudan marked four years of independence from Sudan, but the celebrations were tempered by concerns about ongoing violence and the threat of famine.